The previous sections have been rules about necessary aspects to take into account for a proper description of the social life. The following postulate is a rule on where it should focus of such description or explanation. 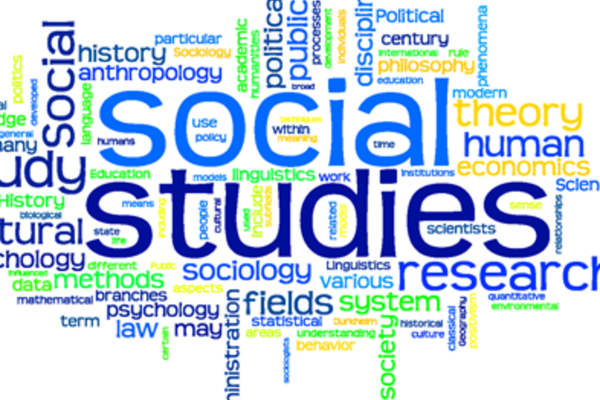 A very important part of the effort of the social sciences is simply to show the importance of the social aspects or cultural in some particular. Almost any ‘Sociology of X’ will devote a significant portion, if not virtually all his effort, demonstrating the importance of the social and cultural aspects, as for example in sociology of science (Bloor, 1998) or sociology of consumption (Sassatelli, 2007; Zelizer, 2005). It is a procedure whose lineage is ancient, The Suicide of Durkheim is one of the original works whose explicit intention is to show the importance of social factors in explaining a phenomenon, in their case alleged only individual. In the case of Durkheim, and this has also occurred in those who followed him, this is closely associated with the project of a social science: A social science can only exist, only would have sense if it is true that to explain various phenomena it is necessary to take into account the social factors or cultural. If it should happen that all behavior be explained by genes -that there are social factors in intelligence, in the different between men and women, or in other affairs, then there would be no place for sociology. However, the above appears to be unnecessary and, in fact, counterproductive. Ultimately, even if everything that happens in social life is explained by factors that are not cultural or social, of all ways would make sense for a discipline such as sociology. In the end, if everything that happens in a living being is explained by chemistry, biology would remain a discipline with sense. To deny the above is to argue that the legitimacy of a discipline depends on the theoretical claims specific, that the interest of a depends on the truth of a particular theory about a phenomenon –that is, plausibly, the interest of Durkheim. Even if social factors were not relevant for analysis of many behaviors, there would be many specific questions to answer about the social world: what conditions are created or modified social practices more easily? Under what conditions would the social practices are more stable? What are the effects on the social life of having social media centralized, decentralized, or distributed? What is the social world an example of the networks ‘small world phenomenon’ and that tells us on the evolution of these networks? Or going to more specific questions: why and how in certain societies, there are thousands of different jobs and not in others? (the original question of Durkheim in the Division of Social Work) What factors affect the importance and extent of the organizations in a society? Why and how that certain social interactions people talk and others use violence? Why and how in certain societies, the ‘workers’ have contracts, and in others they are treated as property? Why and how in some societies, people reach the fullness of their rights at puberty and in others there are special categories such as adolescence? Why and how is it the case that the ‘scandals’ for which politicians lose their positions are different between societies? All of them are questions about social life as such, and is only based on that there is a piece of reality that can be investigated and described through the use of certain tools and concepts. In other words, you have a certain unit –it is the world formed by social relations, or communications, or for social actions-in which you use specific concepts to work with. Is the interest in describing that reality that generates the legitimacy of the discipline, not the fact that it can influence other dimensions. To explain the constants of the social life can use a wide range of possible reasons: Some theories focus on aspects that come from features of the social interaction as such (the double contingency that is the starting point of Parsons or Luhmann), but also it is possible to try to explain them by factors not social-that are universal. But if we want to explain the different varieties of social situations that exist, then probably the path more fruitful to explain the analysis of the different rules and patterns of interaction that occur in a society . When it comes to explain why they passed such a thing in one situation and not in another, our main tool of analysis is to vary the characteristics of social interactions. Therefore, we can posit that a central task of social analysis has been the description and explanation of the various and multiple forms of interaction rules.